This is possibly one of the most important articles I have ever published. It addresses how to break through a training plateau, which is probably one of the most commonly asked questions on the internet, along with, “How do I break through a bench press plateau?” — The principles, whether you are stalled on one lift, or multiple, are the same. I say “I,” but actually, this is ﻿a section from our Muscle and Strength Training Pyramid book, so I should say Eric, Andrea, and I. Though I have made additions so that this works as a stand-alone article. Start training seriously. > Progress linearly and consistently by adding weight each session. > Stall. Train a little harder (more effort). > Progress then stall. Re-start training with more attention paid to good form. > Progress up to and past the previous plateau. > Stall. Train a little harder. > Progress then stall. Change from adding weight each session to something marginally more complex (like linear periodization or double progression, covered in our progression article). > Progress then stall. Frustration. Google to the “rescue”! > Drop sets, giant sets, supersets, ‘new and shiny’ training program, bro splits, more, more, MOAAAR! > Stall. Sound familiar? This article is here to fix that. It will show you how to assess and address training plateaus systematically. However, a warning: the steps in the checklist we’re about to present are easy to understand, but they won’t necessarily be easy to identify as being true for you. — The ego has a nasty habit of getting in the way. But things are not progressing as planned because you are doing something wrong, right? Bear this in mind as you read and let’s solve this once and for all then. Are You Training With Appropriate Volume, Intensity, and Frequency? The first thing we would advise you check when plateaued is if your current training schedule puts you within the range of our volume, intensity, and frequency recommendations. If you’re following one of the training program templates from our books (you can see the novice and intermediate bodybuilding and powerlifting programs for free on the site here), then you’re fine. If not, check your training program against this. These are guidelines, and there are exceptions, but this is an excellent place to start. Note that it’s just your working sets that count towards volume (the ‘hard’ sets that are part of your plan), warm-ups do not count. If you’re wondering what an appropriate warm-up might be, see our guide here. Don’t look at the volume, intensity and frequency guidelines with your absolutist glasses on. Just because the number of sets we are recommending is in the 10–20 range, performing 9 sets doesn’t mean you won’t grow at all and performing 21 sets doesn’t mean you will overtrain and regress. Also, when looking to compare other programs, remember, you can make a good high intensity, high volume, or high-frequency program if you adjust the other variables. This means you may find an “optimal” approach that falls outside of these general guidelines—“optimal” for you if you adapt to it. Progress is not an on or off switch. It’s not that we make gains or we don’t; it’s maybe we make better progress by adjusting some of the variables. Remember the meta-analyses we have available are primarily on studies comprised of novice trainees with few studies on “trained” lifters that I would typically classify as intermediate. If you are a novice, start on the low end of the volume recs (~10–13 sets week). If you are more intermediate or advanced (and you don’t know where to start), try the mid to high end of the range (~14–20 sets a week), and then adjust from there. So, too much volume is counterproductive as it accumulates too much fatigue. But it is also true that for the most part, strength and hypertrophy gains increase with more volume. When you have been training for a while and have made good strength and mass gains, but have plateaued with your current training, in order to make more progress you may need to increase volume. You will not necessarily want to add volume each training day, week, or even month, but increasing volume gradually over your training career as necessary, may be needed for progression 1. A good way to think about volume over your career is to do enough volume to progress and only to increase it when progress has plateaued (assuming you are recovering normally). This is a much smarter choice than continually putting yourself in the hole with fatigue by adding volume prematurely and having to drop volume back and taper all the time. Also remember, that if you are lifting heavier loads, even if reps and sets are the same, that is an indication that progressive overload has occurred and you are adapting. Do enough to progress, not as much as possible. Increase when plateaued if you are recovering well. So, how do you know whether adding volume is the answer to your training plateau or whether you need to change something else? Experience tells me (this is Andy speaking) that a whole bunch of people reading this are going to ignore some critical points, read only what they want to read, and quickly conclude that they need to increase their volume. Stop. Let me spell it out a little more for you a little clearer first. 1) You’re not sleeping enough: If you aren’t sleeping 8+ hours, as hard as it may be to do so, that might be your issue. Yes, you may be waving your hands in the air right now, “Impossible, I have kids!” Ok, I get it, but that doesn’t change this fact. Try to sleep more. If you’re sleeping just 6 hours, then aim for 7 and see how you do. 2) You’re not eating enough: You can’t expect your body to make something from nothing. The leaner you are and the more training experience you have, the harder it becomes to make progress while your weight is stable or decreasing (aka. when you are at caloric maintenance or below). On average, for a guy that is say, dieting (aka. ‘cutting’) from 20% body fat to a stage shredded 5% (add 8% to these figures for women), they’ll make progress during the first 1/3 of the cut, work to maintain their progress during the middle third, and then probably regress a little in the last 1/3 as they get below 9% body fat. Most people reading this won’t be competing, but many of you will be looking to get down to that 9-12% body-fat range at some point, which for guys is when your abs are nicely through. What this means is that your progress will likely stall at some point while you are cutting regardless of what you do. Fighting this can get you injured. 3) You’re not eating enough protein: If you aren’t consuming enough protein, consume it. In the most up to date and comprehensive meta-analysis on the effect of protein on muscle and strength gains in individuals not in an energy deficit, the beneficial effects of protein plateaued between 0.7 and 1.0 grams per pound (1.6–2.2 g/kg) of body weight 2. (What probably makes the most sense for protein intake while you’re dieting is somewhere between 1.0 to 1.2 grams per pound (2.2–2.6 g/kg) of body weight. However, this doesn’t mean eating sufficient protein negates the importance of the previous point (2). 6) Your lifting technique is poor: Are you training with good form, or using such poor form you’re cheating yourself out of progress? I’m not talking about people who swing their bicep curls, kip their pull-ups, or perform rows with the momentum of their whole body — such mistakes should be obvious and are present in every gym I’ve ever set foot in. I’m talking about people who are trying to be conscious of their form but aren’t quite getting it right. If you have a trainer you can trust or friend that knows their stuff, have them take a look. Otherwise, consider checking out The Lifting Library, which is an exceptionally underpriced video product by my co-author Eric and his coaching team. There isn’t a right or wrong way to train. We’re just trying to get you in a ballpark of the right place to start so that you can adjust. The recommendations are actually very wide-ranging when you think about it. There is a twofold difference between doing 10 sets and 20 sets for a muscle group or movement. Despite its broad nature, you will typically see a similar outcome in the majority of people training in this range. Plus, these guidelines should just be seen as the average range that will occur over the course of a cycle of training. There can and should be periods that are above and below these ranges depending on the phase of training. Also remember, studies report averages, but each person is an individual and there are always outliers who will do best on substantially more or less volume or a lower or higher frequency than what we recommend. So, start here, give yourself time, see if you progress, then think about adjustments. 10–20 sets per muscle group/movement, a place to start and adjust from, not a law to live your life by. Remember, don’t get impatient. Volume will increase over the course of a training career as you progress; however, it won’t necessarily increase from session to session, week to week, or month to month, because you’ll have elements of periodization in your programming. Just do enough volume to progress and only increase when you need, not want, to do more. If you have found this helpful, you might be pleased to know it is just a small section taken from our Muscle and Strength Training Pyramid book. The second edition, along with the Nutrition companion book, was released this January 3rd, 2019. 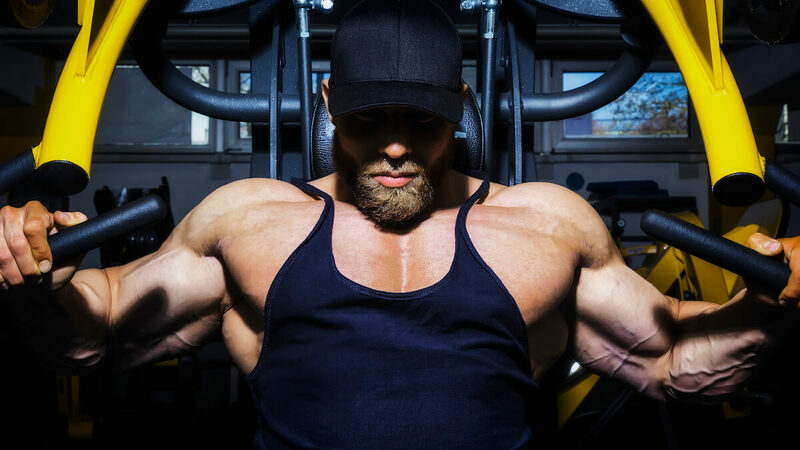 Helms, E.R., et al., Recommendations for natural bodybuilding contest preparation: resistance and cardiovascular training. J Sports Med Phys Fitness, 2015. 55(3): p. 164. Morton, R.W., et al., A systematic review, meta-analysis and meta-regression of the effect of protein supplementation on resistance training-induced gains in muscle mass and strength in healthy adults. Br J Sports Med, 2018. 52(6): p. 376. 1) push each set to RPE 8-9, and thus hit something like 17,12,8,6 OR 2) hold back on the first couple sets, so they’re maybe only RPE 5-6, and get 12,12,10,9 OR 3) doesn’t really matter that much long term. Broadly speaking, I usually program a first set RPE of 8/7/6 for sets of 3/4/5 respectively. You’ll see that in action in our Novice and Intermediate programs (see here for links). I guess what I’m asking is, look at the double progression example in the table in Step 3 of your new “How to Build Training Programs” article. You have the trainee working at a set load until they complete all sets at the top end of the range. In that example, it’s 3 sets of 8-15. So if the trainee could do 19 reps that first set and still be within the recommended RPE range, should they take it to 19, or should they cap it at 15 in order to save energy for the later sets of that exercise? I’m little confused on how to combine this information here with the “How to keep progressing…” article. Is the flowchart applicable to novice progression? or only after plateauing when already implementing intermediate progression? I was following the Novice BB program for several months using novice progression, then plateaued on my bench press and squat and started to make transition to Intermediate program, moved from 4 to 5 days and from 50 to 70 sets total. I’m second guessing my decision since I feel like i’m not recovering as well as I used to when I was training 4 or even 3 days a week. I’m thinking I should have changed the progression method to intermediate without adding volume necessarily. If you’re taking care of steps 1–6, I think the next logical step is to consider the intermediate progression. Thinking about it, adding volume to a particular exercise prior to doing that can work also. So I can’t state this as a must. As frustrating as that may be, bear in mind this is us trying to put a rule framework on a dynamic system, and more often than not our decisions come down to coaching instinct built up over experience, not running through a checklist. Try one or the other and see how you do. Martin Berkhan recommends 60% of calories to come from protein, what are your thoughts on this? Calorie intake will change (decrease) over the course of a diet, but protein needs will largely remain the same, (or if anything, go up slightly). Thus, I prefer to set protein intake based on weight. The flowchart was useful! Makes it easier to get into my head that I shouldn’t skip on the initial important parts (as energy surplus). Gret reading as always, thanks Andy!